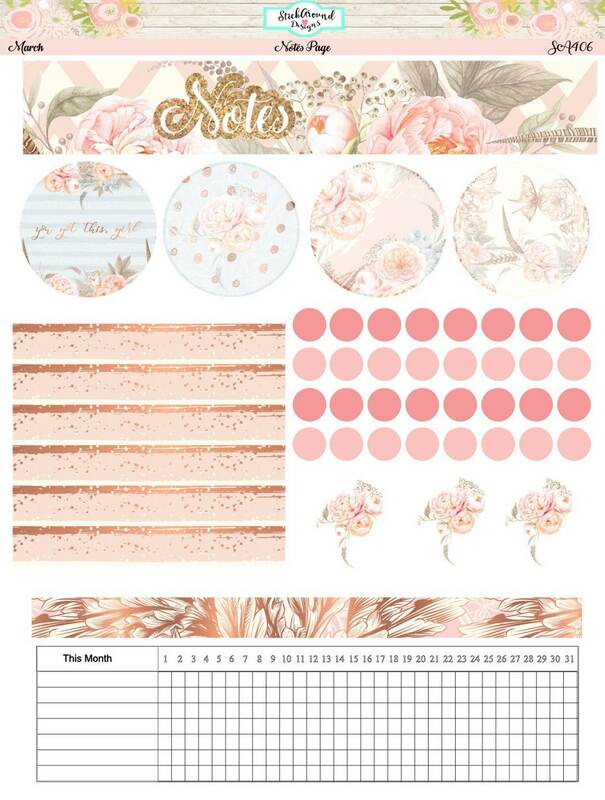 This monthly notes pages kit includes 3 pages that are designed to fit the monthly notes pages of the ECLP. It will also fit any 7 x 9 planners, agenda or calendar. 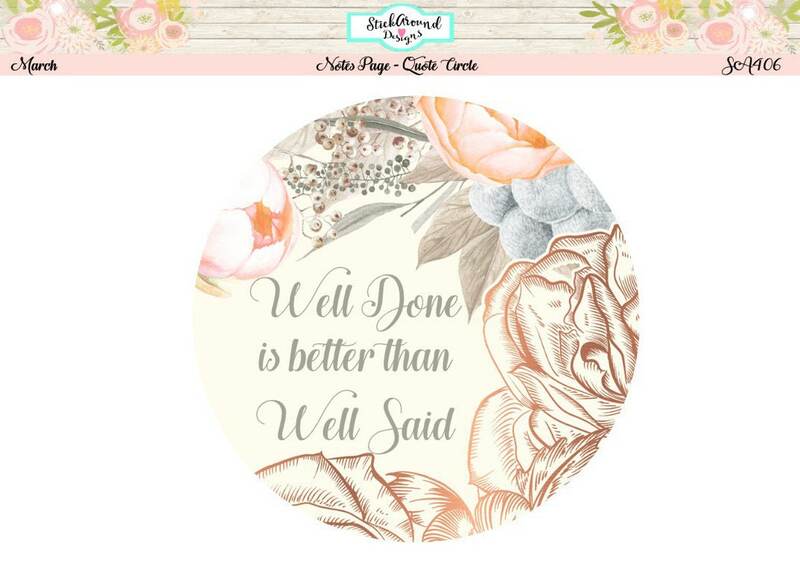 The stickers are printed on permanent glossy sticker paper. 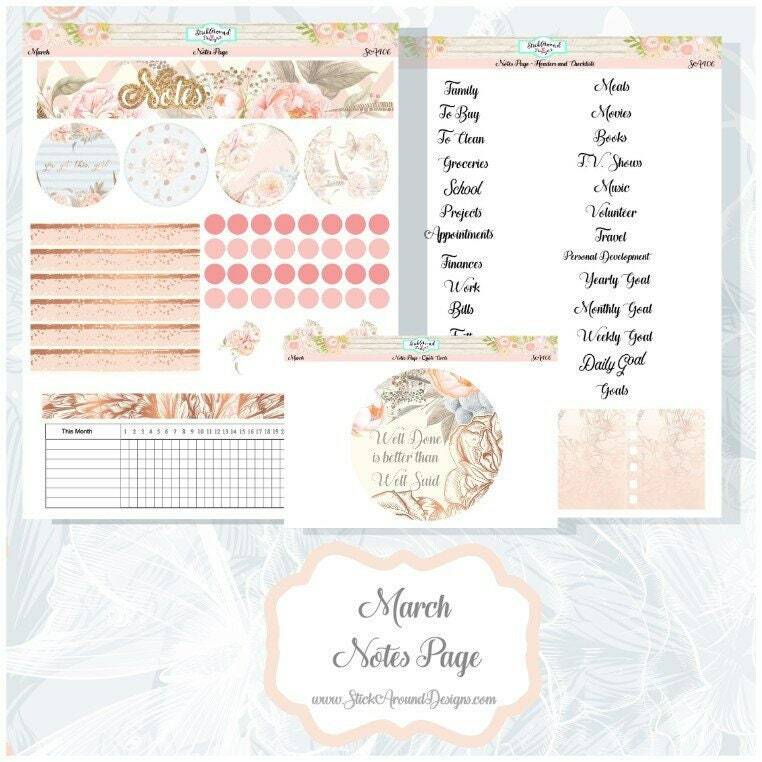 The first page includes one page header bar, 4 circles, 6 small header bars, 32 dots, 3 decorative stickers, one long header bar, and a habit tracker. 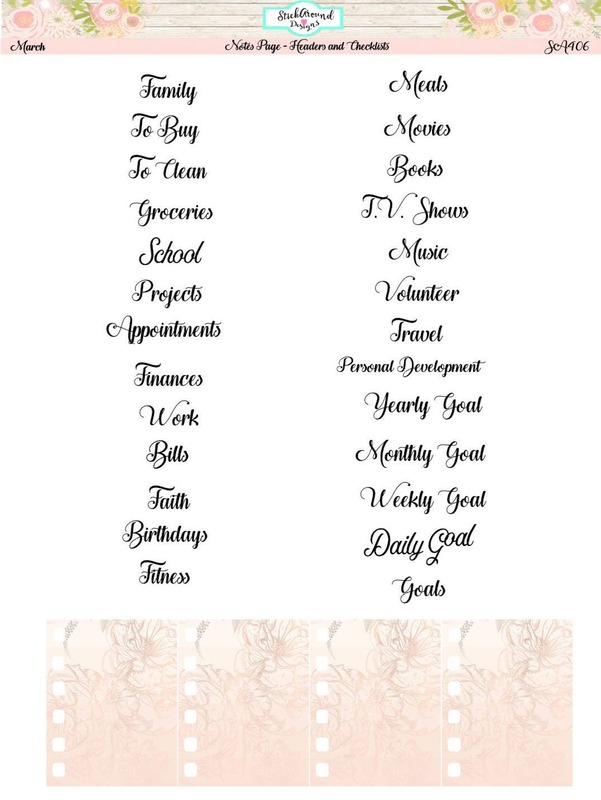 The second page includes various kiss cut headers and 4 Ombre Checklists. The third page includes a small quote circle.